The turbulent and extreme weather which has visited many parts of the world in the last few years might be a sign of global warming. It certainly causes death and devastation, leaving many people without homes for weeks or even months. 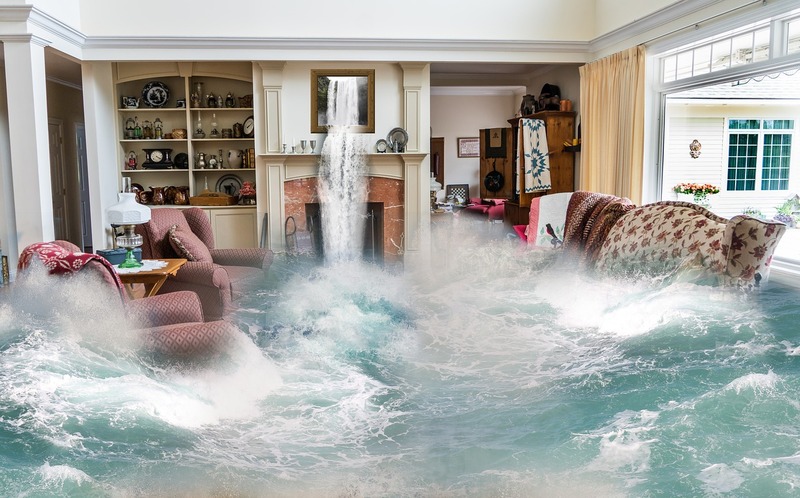 Water damage through flooding can seem fairly insignificant on the grand scale of things. But, if you don’t follow these steps you will find that mold starts to grow in your home; this can be extremely detrimental to your health. source An exaggeration, of course, but flooding, and the damage it can cause in your home is no joke. Flood water can contain a huge array of bacteria which will be harmful to your health and encourage mold growth. The fact is that you don’t know if the water has mixed with sewage or other debris along the way. It is an accepted fact that to minimize the growth of mold and maintain your health you need to throw everything away that is below the waterline. While this can be difficult it is an essential step. You now need to dry the room completely. You might wish to call a professional mold remediation firm as they will have the equipment you need. You might be surprised to know that cold air is much more efficient at drying a room than warm. This is because of humidity levels. The room needs to be open and the cold air blowers might need to be left on for several days to ensure the room is completely dry. A professional can undertake a moisture test of the walls to make sure the level is acceptable. You should never rush the drying process; if you do so, you are likely to encounter problems in the future. Mold can start growing virtually anywhere and quickly become an issue. This is why it is imperative that you regularly check any space which has been flooded. If you have any signs of mold appearing you will need to take prompt action to kill the mold and trace where the moisture remains. Again, a professional firm might be needed to assist you with this. It is important to remember that most floods will be covered by insurance. You will be able to get assistance with the cost of using professionals and replacing all your belongings. This means there is no excuse for not using professional assistance and making sure your home is completely dry before you start using it properly again. Flood damage can be devastating but you can recover your property and move on!